When we heard that they call themselves “Asian band”, we wondered why they didn’t say they are a Japanese band. But they said with a laugh. Absolutely! But it’s not the only reason for it. They’ve performed in 10 countries so far, such as China, Laos, Vietnam, Thailand, Singapore, Cambodia, Brunei, Malaysia and Japan. Such an “Asiatrotting” band has tons of stories but we were limited in time so they picked the stories of their first tour in China. Recently Sino-Japanese relations are strained by the territorial issue, but they said that their experiences in China formed the basis for our activities and they got strength from support by folks there. So we bring you the stories of their first experience going abroad and how they became a group of “performing diplomats” that connects Japan and other Asian countries through music. *Click here and learn how GYPSY QUEEN & My Eyes Tokyo met with each other. 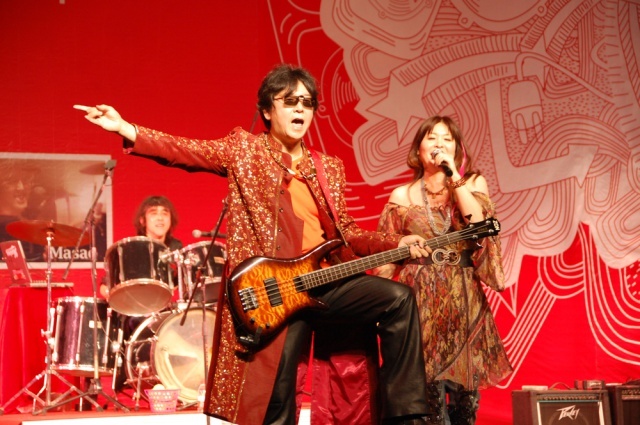 Shinon: GYPSY QUEEN were officially formed in 1997, but originally it started when Aki was a college student. I’m it’s 3rd vocalist. Aki: The first one, Satoshi Ikeda, made his major debut in the mid-80’s. When I formed a band, we played latin rock and black music as well as other student bands. We didn’t have any goal, we only enjoyed playing music at live houses, beaches and mountains with our friends. But in 1997, we started to think about music and where we should go seriously, and decided to create our “works”. We changed members some times, but we assembled the current members we have from around then. Shinon: In 1999, I met a person who told me that my voice would fit the Chinese sound. I got satisfaction from that and tried to sing Chinese songs. Aki: Then we were invited to appear on the Chinese radio program on Inter FM, the Tokyo-based multi-language FM radio station. A friend of mine who was working at an ad agency connected us with them. Of course it was broadcasted in Chinese, but they interviewed us in Chinese, too! Shinon: So I studied Chinese frantically before the radio interview, but language acquisition can’t possibly be achieved overnight. A radio host restated what I said even though I answered questions from him in Chinese! 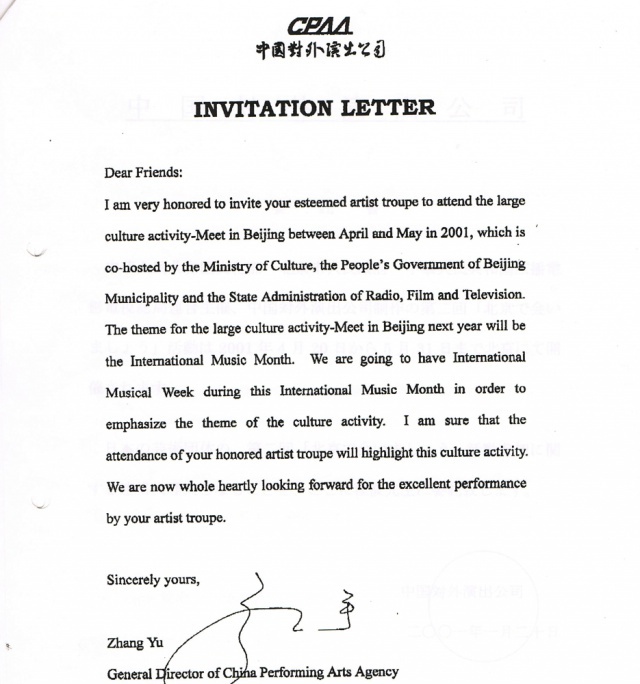 Later, someone became interested in us and invited us to the event which was supposed to be held in China in 2001. Aki: I also met a staff member of a travel bureau specializing in China through Shinon. He networked various kinds of people in China and introduced us to Cheng Bo (程波), who is a representative of “China Art Center” in Tokyo. Shinon: The person who invited us to the event in China was Mr. Cheng. He is an actor and singer and has appeared in many dramas and shows on Japanese TV so far. He taught me not only the Chinese language but also Chinese songs. He was hard on me a little bit. Aki: So we took up the offer of joining the China tour, but we went to “hell” and back there. Where is this bus going to? Shinon: We joined the big cultural & artistic event called “Meet in Beijing Arts Festival“. It’s an annual event which people like musicians and dancers turn out to from all over the world. We heard that we would attend only that event. But while we were unaware, it was decided that we would also attend another big festival called “欧亜風情演唱会” (literally meaning; “Eurasian Style Concert”). Touring 7 cities in 3 weeks – I was working at a company so I was not sure if I would be able to get leave for such a long time. But I showed an invitation from the Chinese government and my boss said OK.
Aki: But what troubled us more was that we were not scheduled until just before the concert started. We wanted to know “where we go to””When we go there””Which hotels we are going to stay”, but organizer didn’t tell us. They only said, “No problem”. We received phone numbers, but those were not real. We didn’t know our accommodations where we were supposed to stay on the first night in China until the day before we left Japan. So I got rooms at another hotel just in case. Aki: Yeah, and I got to know the accommodations when we arrived at Narita Airport. So I cancelled the reservation. Shinon: I didn’t know that. Aki: But I cancelled some rooms. I was too shy to cancel all of them because I made a reservation a short time before. But the organizer asked us why we made a hotel reservation even though they said everything was OK.
Shinon: My parents were worried that I would go to China with many guys. So they wanted to know our accommodations in China. A fax was sent to my parents and the names of the hotels were on it, but actually those were not correct at all. I got to know that after I came back home. Aki: I think they didn’t understand why performers wanted to know their accommodations. Also when I asked when we would arrive at the next destination, they said, “Why you want to know that? We’ll be there because we have a driver!” And I asked, “I want to know WHEN we’ll arrive there!”. Then they said, “Why do we need to tell you that?”. They think time and place are NOT things that performers should know, I guess. Musicians play music, that’ it. So you go where we go, you eat what we eat – that’s their idea. But I didn’t know where we were going to stay, so I wondered how I should explain to the members or even suspected that we were cheated. I was so bothered that I got severe hives. They didn’t tell us even the concert venues. 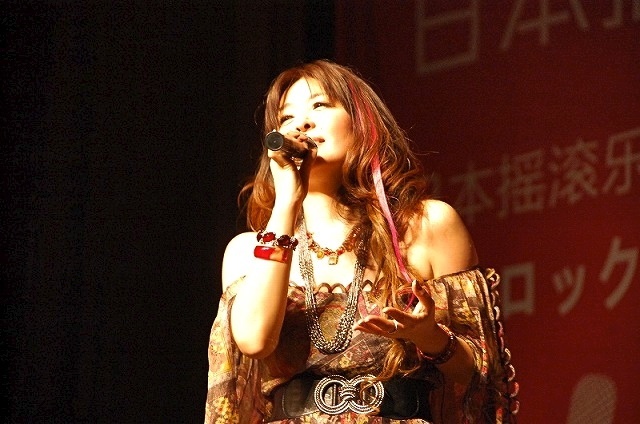 Aki: “Meet in Beijing Arts Festival” is a big event which gathers musicians and artists from all over the world. We travelled with 3 performers from US, Germany and Australia. 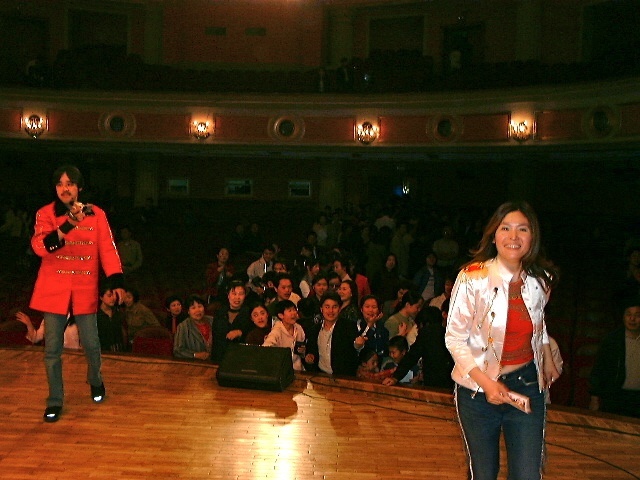 The first venue of the China tour was in Xidan, a youth town in Beijing, and there were an audience of thousands. Performers stand on an elevated place in the venue and a view of a big crowd was really spectacular. Moreover most of them were Chinese, not Japanese – we were much inspired. But there was not something very essential for live performances – power supply. So it caused the slow start of the concert. Shinon: Even performers from Western countries learned the Chinese word “dian yuan（電源）” really fast. Aki: The audience was waiting for the concert to begin. A while later, “OK! Now the power is available!” but we had no microphone. When we were running through, we thought that someone would bring it before the show. But nobody brought us any mic. So I said, “We cannot sing if we have no mic!” Staff said, “If so, why didn’t you say that you would need a mic?” But I wondered why they didn’t think we needed it even though we have a vocalist. Shinon: In Japan, the staff brings you a mic and even positions the height of the microphone stand. Aki: Surrounded by strangers in an unfamiliar environment without enough equipment, we were oppressed spiritually. But actually they brought a mic very quickly once we said “We want a mic!” and we played the first one which was our original piece written in Chinese. After the show, we gained a certain level of sense of accomplishment. But we were completely weary of their bad arrangements. I even thought “Can entertainment exist in such a country?”. We got on a bus and we thought that we were going back to a hotel. But it took us to another venue in Beijing. Aki: The next venue was the Capital Library. It was a huge place. There was a theatre and that was our waiting room. We had boxed lunches for dinner. The concert was held on a special stage in front of the library building. We made a virtue of necessity by that time and played with Polynesian dancers who also were performers at the festival. And the power turned off while we were playing the second song at the venue. We’ve experienced turning-offs many times but it was the first one. Shinon: We’ve never experienced turning-off in Japan. There is no country where we can ensure a stable power supply other than Japan. Aki: But when I played on a beach or in a mountain as an amateur musician, I often experienced that. Even if we faced blackout, a drummer kept playing. While the drum solo was played, I tried to have power supply back. So I told our drummer.”Keep on drumming!” when the power was out at the Capital Library. But there is still no power recovery a couple of minutes after the blackout. Rather staff members didn’t seem to be flustered at all and they said, “Stop drum solo!”. We felt down, we felt horrible. We were going to play the next song with a new attitude, but a stage light caught fire! Not reeking, breaking out a blaze! Before the concert started at the Capital Library. During their performances, a light caught on fire and the red wall behind performers also caught fire. We couldn’t concentrate on playing so our performance was terrible. And the audience brought their hands up to their ears because they were not familiar with rock music. They clapped their hands after we played each song, but I remember that they didn’t smile at all when we were playing. Shinon: There was no place for ordinary people to listen to rock music in China because rock music was still underground there at that time. Aki: Nobody understood what Shinon said and she still couldn’t memorize all the Chinese lyrics. We totally got depressed and complained to our Japanese friends who came to Beijing about their poor handling. Aki: On that night when we dropped our heads, we could have a chance to play at a live house called “Power House” in downtown Beijing. We were going to have dinner there with a Japanese guide who lives in Beijing. But we wanted to perform live there. They had all equipment like microphones, amplifiers, mixers, monitors and of course, power supply. 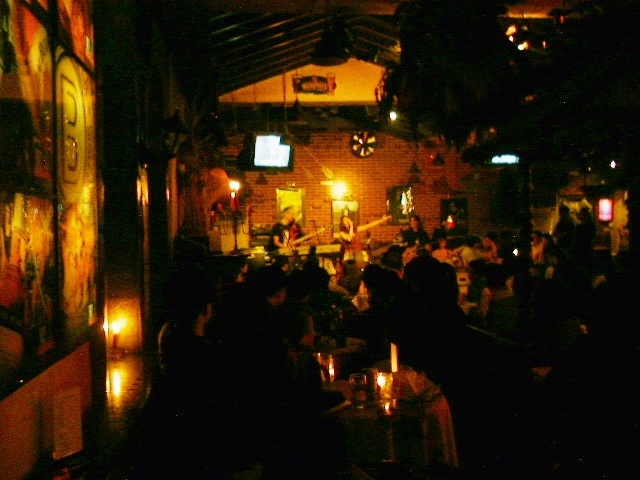 The audience consisted of young guys who were drinking there and they got really excited once we started a gig. We felt soothed by that. The next day we went to the prestigious theatre called “Poly Theatre” and joined the another event called “Eurasia Style Concert”. Organizer recorded the concert for the broadcasting. Shinon: Its brochure said, “Once Shinon starts to sing, kids are moved to tears and thousands of horses break into a run”. 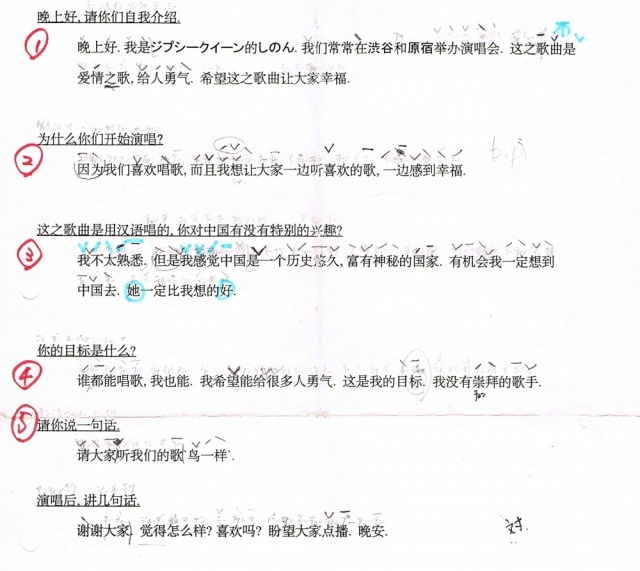 The endorsement of our performance was written by Mr. Cheng Bo, my Chinese instructor. Aki: It was a theatre, so of course there were all kinds of equipment. 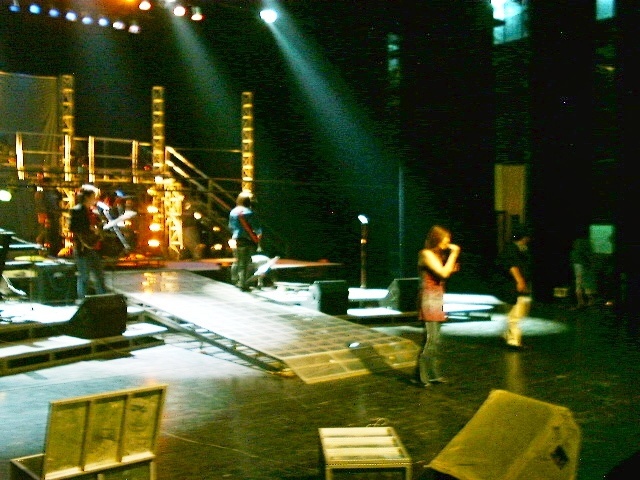 Sound and lighting facilities were excellent so we could accomplish one of our goals, which was “Appearing on stage with the spotlight on us in China”. 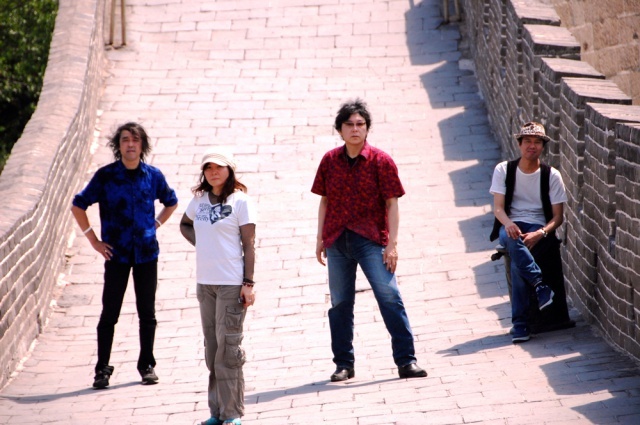 We established the goal for it around ’99 when we started to write songs in Chinese. Shinon: I felt great when I was singing there and thought that we achieved our goal eventually. But our supporters from Japan went back home before we left Beijing for the tour around the country so I felt lonely. Also I felt much anxiety because I had no experience of singing in front of thousands of people before then. So I cried like a little girl who was going to be sold. I wanted to go back home with them. Aki: After we left Beijing, we travelled with performers from US, Germany and Australia. We also had a Chicom and an English/Chinese interpreter. Shinon: Suddenly nobody else understood Japanese, so I was still crying. Aki: We flew to Kunming, the capital city of Yunnan Province. When we arrived there, we saw a woman who was a staff member of the Cultural Affairs Division of the Province speaking English. At that moment, we became painfully aware that we couldn’t speak any language that they could understand. In Beijing, we had a Japanese guide and our friends from Japan. But after Beijing, we had no Japanese guide or Japanese friends. Aki: You may think that we couldn’t interact with others so we were depressed… But actually, no. Nobody interpreted what we said, so we started from anew and freely asked them things we didn’t understand. Shinon: For example, we asked an interpreter girl “What time are we going to have breakfast?”. Aki: Also we bawled “We have no mic!” when nobody brought us microphones. Or we didn’t play when we didn’t have microphones. If someone else asked us why we were not going to start to play, we said,”Because we have no mic!”. Moreover we said like “Nuts!” in Japanese because nobody else understood. So I think it’s important for us to put ourselves in such a severe environment. Humans are weak. We can’t go on living without relying on something. But if you are not in such surroundings, you’ll mature as a person. In China, everybody expresses his/her opinions freely. For example, a young staff of the Cultural Affairs Division of the local government told us that we needed to call more attention to audience. Our bus driver also suggested like “Swing your bass hardily when you play ballads!”. I hesitated to do that a little bit, but the audience got excited when I did that. Shinon: And they suggested to us doing a member introduction in Chinese. Aki: Then people enjoyed our performance and we felt flattered. And we found that we were allowed to be more assertive there. That was really a big thing because musicians or performers are originally assertive. Then things got better. We really enjoyed local cuisines! Also we tried to communicate with our guide (who is Bai, one of the ethnic groups in China) in broken Chinese and got friendly with him. And we became fond of them after we started talking in the same language. We felt, “They are the same as us!”. If we shut our mind, they also do that. If we open up our mind, they also do that. We learned it. 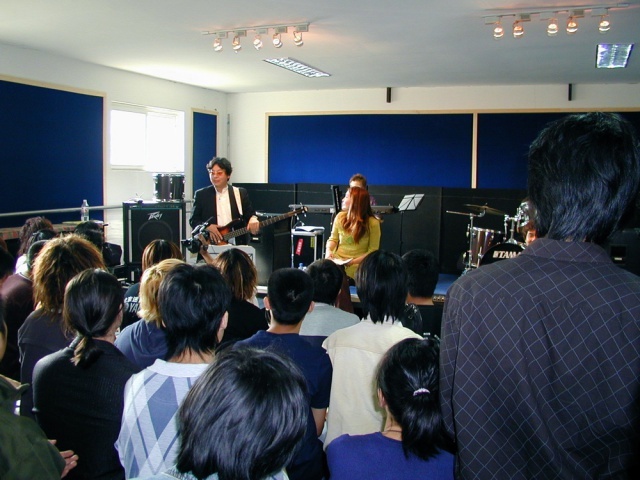 Do you remember that audience covered their ears when we played at our first venue in Beijing? It might be because we shut our mind. Shinon: Then we took up with other performers from US, Germany etc. And we made good friends with an interpreter girl. She sat next to me on the bus and held hands with me when we were walking together. Aki: We taught Japanese to our tour guide and he taught us Chinese during the tour, so our Chinese skills developed rapidly. Aki: Then we went to Nanjing, the third city of the tour. The venue in the city was a gym and there were 8000 people, which was the largest in the tour I guess. Aki: But actually our performance was received very well with Nanjing people very much. That meant a great deal to Japanese. Shinon: In the middle of our performance, fireworks went off suddenly. I unconsciously said, “吓死我了！(I got the fright of my life! )” in Chinese and the audience cheered. Those were words that our interpreter mentioned when I was walking hand in hand with her and I was almost running into a street. I was still depressed even though other members came alive in Kunming. But I got better at that moment. Horses broke into a run! Aki: And we did member introduction to excess. The audience loved it. I guess it was funny for them that Japanese guys spoke Chinese exaggeratingly. After the concert in Nanjing, we went to a department store in downtown with other performers. Then a news crew of a local TV station came and shot us while we were shopping. Shinon: Announcements were made there; “Performers of Eurasia Style Concert are enjoying shopping here now!”. Shoppers stared at us with curiosity. Aki: We were feeling great and took a strong stand more. Even if a concert staff came for us, we didn’t go. He came here because we knew we would be made to wait. So we went out there only after he came to our room three time. And we freely had snacks that were prepared by staffs at green rooms. Our lives in China became very pleasant. 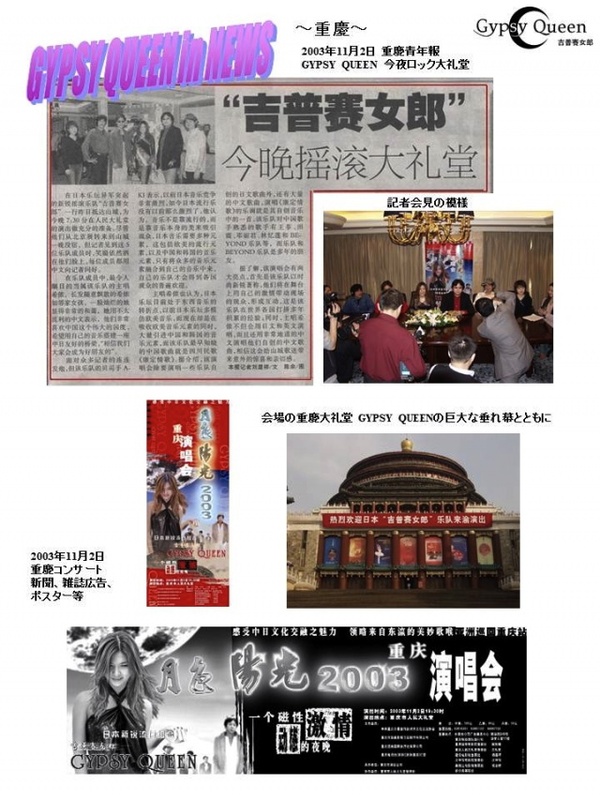 Brochure of the concert in Nanjing. You can see Shinon’s photo at the upper left. “疯狂的酷女孩” on her photo, which means “Crazy and cool girl”. Aki: After that we were supposed to go to Suzhou from Nanjing, but the event in Suzhou was cancelled. So we flew to Dalian. We arrived there ahead of time so we took a two-day off. We’d enjoyed holiday for the first time since we came to China and performed at Zhongshan Square. It was very exciting. Shinon: After I finished singing, one guy cheered and said “Arigato! (Thank you)” from an audience. Dalian used to be part of Manchuria where Japan set up a puppet government in 1930’s. So we were in great fear before the concert. Aki: But the reaction from the audience was wonderful. We talked to the audience only in Chinese, that could be one of the reasons. Our Chinese was not so good, but I can say that we tried to communicate with them in Chinese as much as possible. Then we moved to Tianjin, our final venue. The audience were groovy there. After the concert, its host talked to us with a smile. We thought he praised our performance. So we asked our interpreter what he said. But she didn’t translate. So I thought that he said we should improve more. However that was still bothering me even after the wrap-up, so I asked her what he meant once again. She told me that his grandfather was killed by Japanese army. Shinon: I remember that he gave an imitation of the march. He was imitating a Japanese soldier. Aki: She didn’t interpret that and hesitated to tell us what he said; that means the relationship between us and her might be something special. Shinon: After we came back home, she gave us a mail. I hated Japanese before I met you. But I love Japan now!”. When we met her, she enjoyed talking to other performers from Western countries because she studied English. But she didn’t talk to us very much. However she walked hand in hand with me in Nanjing and she became fond of Japan finally. They’ve gotten anti-Japan education so they hate Japanese even if they’ve never seen us. But she travelled throughout the country with us and she loved Japan. We realized how important the face-to-face relationship was. So we’ve been to Asian countries and had the face-to-face relationship with people as well. If I didn’t experience the the China tour, I might have stopped singing a long time ago. I can say that because I learned a lot of things during the tour. Above all, I kept singing thanks to this experience until now. I can’t be happier as a singer. Aki: A girl who travelled with us as an interpreter changed her impression of Japan after the tour. That means what we do is a kind of international exchange. We have a long way to go to the deep interchange with China, but we now welcome the challenge of improving Sino-Japanese relations. Of course our road has not always been an easy one to walk after the tour. We faced some cancellations and trouble. But we learned from the experience of our first China tour – Meet people, talk to people and love people. We’ve done those things so far. 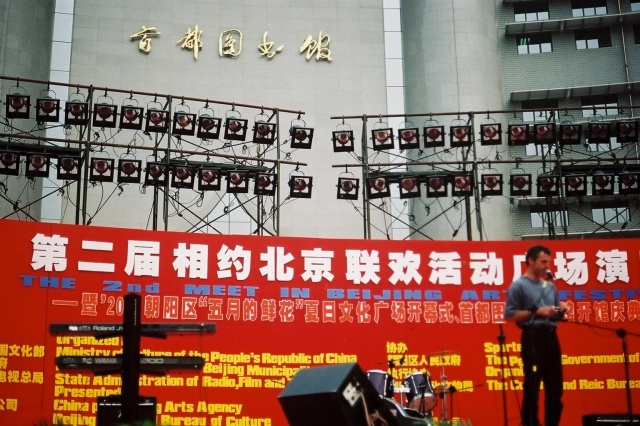 In 2005, we performed in a city where anti-Japan rallies took place. But young Chinese chemical blonde rock’n’roll guys said, “No worries. We’ll protect you from them”. Shinon: “Politics and music are different issues” they said. Also a taxi driver told me that he would fight back if someone kicked us around. Aki: Even though a concert was cancelled, people made a plan for us to perform at another venue. I think because we’ve talked to them directly in their language. So we could become close to them. It’s very important for us to get along with local officers in order to hold concerts in China. Our backgrounds are different, but we are the same human beings. They drink, laugh and cry. Also some of them are very friendly. We drink with them at a small bar or drink with local university students at a bar which is known only by neighbors. Then they open their mouth and say that they have to learn how we keep their social order. They look exactly the same as those who join anti-Japan rallies. Shinon: If you have no friend from China, it’s no wonder that you watch the news coverage of rallies every day and you would hate China. Only a few people say, “I like you” even though they are told, “I hate you”. But if you have friends there, I think you’ll hesitate to say, “I hate you”. It’s tough for me to watch that kind of news footage, but I know there are people who are totally different from the demonstrators. Aki: Many people ask us why we go to China now. But no one will ever be able to destroy the relationship between us and people there. We have a lot of friends there. Moreover tens of thousands of, hundreds of thousands of people are waiting for us. At least people who’ve seen our performances must know that we are their friends. 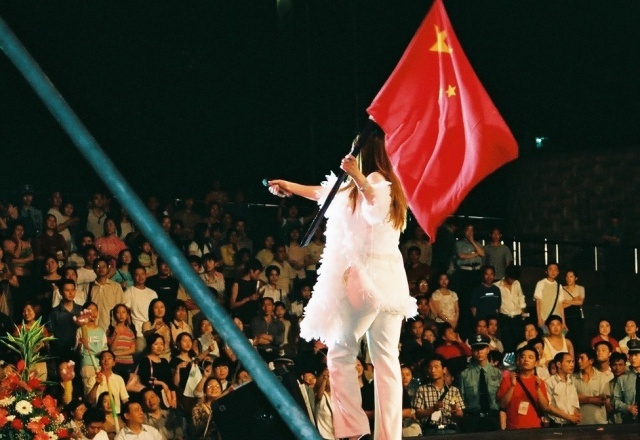 So if audience boos us at a concert venue in China, I would say, “Shut up! we came here because we love you!”. There must be someone who reacts to that. What we do is to see people who wait for us. That’s it. Their performance record in China. Aki: Our philosophy is “If you are not sure, step forward”. For example, we performed in Guizhou Province in China only a week after 3.11 Earthquake. That was a concert which was postponed due to the anti-Japan rally in 2010. We really wondered whether we should go there or not because the organizer invited us soon after the disaster. But we went there and it was a correct decision. The audience offered silent prayers for victims, and also they gave us a thousand paper cranes! So we held the event called “Pray For Japan Concert” in Tokyo 2 months after the quake in order to show paper cranes from China. That event led to bringing 17,000 hot dumplings to people in the devastated areas and hold some mini-concerts there. All of them must have started from our concert in Guizhou. Shinon: I really got harassed for going there as well because my mother’s family is in Fukushima. My relatives ran an inn but it was swept away by the tsunami. And I couldn’t connect with them at one point so I wondered whether I should go to China in those emergencies. I told my mother what I felt. Then she told me, “Do what you can do”. 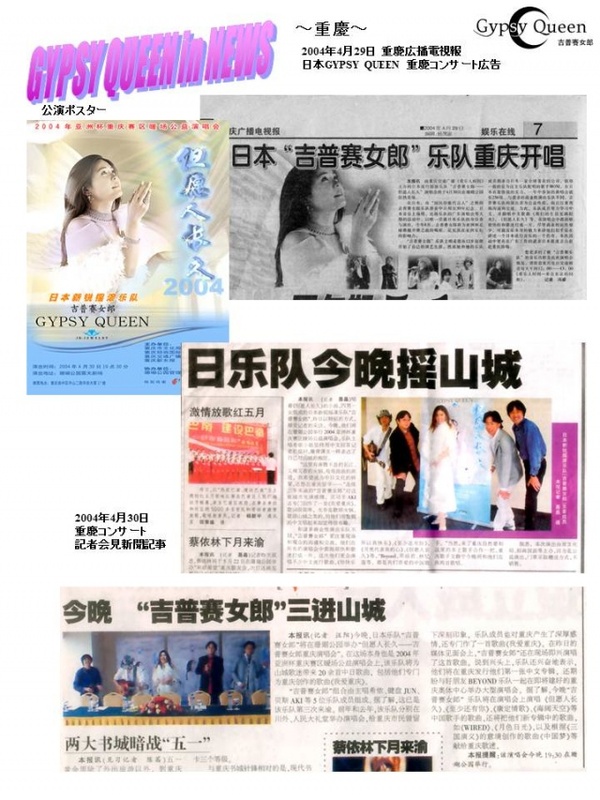 I told the audience at the venue in Guizhou, “My mother’s family is in Fukushima and my relatives are also visited by tsunami.” So I asked them to sing a song which we wrote for the victims of 2008 Sichuan Earthquake for the victims of 3.11. Then all of them stood up and sang the song together. Aki: I got the goose bumps all over. Aki: They sang for 3.11 victims. They made a thousand cranes and gave us a message of “Go for it, Japan!”. You know what? It happened at the venue where our concert was cancelled the year before. We could experience such beautiful things so we moved forward. University students made a thousand cranes in remembrance of victims of 3.11. 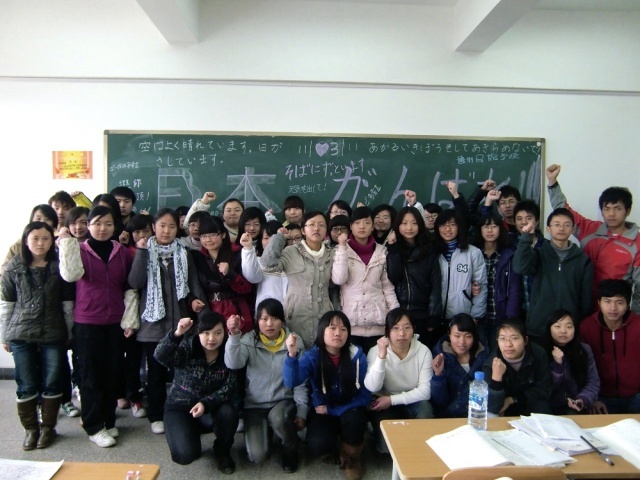 An encouraging message from students from China! What is the future goal of GYPSY QUEEN? Aki: What we’ve done in China is like connecting dots A and B. So we want to build relationships with people throughout the country. In order to do that, we’ll have to work more actively. Specifically, we want to have more people who run after us. Those who understand the cultural gaps between Japan and China and enjoy face-to-face interaction will follow after us. If such people get going in many places in China, Sino-Japanese ties will be improved. What we are involved in is not politics. Instead, why we can do what politicians cannot do is because we have a lot of friends who keep direct contact with and get along with without mentioning money. What we want is not results, what we want is fellow feeling with them so we want to continue to build a lot of relationships like that. The audience sang a song which was written for victims of Sichuan Earthquake for 3.11 sufferers. Shinon on My Eyes Tokyo radio! Click here and listen!